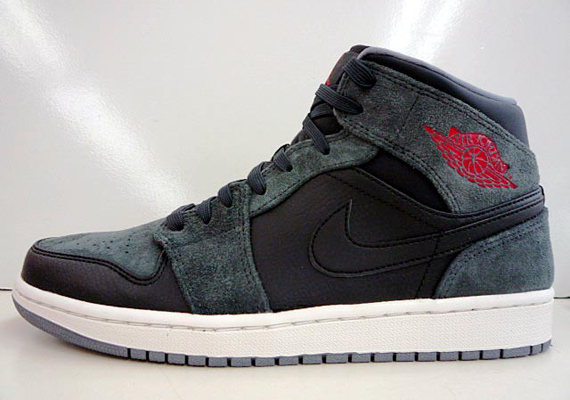 A classic color scheme is put on display over the non-traditional Air Jordan 1 Retro Mid. The Jordan Brand's latest release of the mid-cut Air Jordan 1 is constructed in the most premium materials we've seen in quite some time, working with a combination of tumbled leather and suede. Black and anthracite combines throughout the upper with red accents, while white hits the midsole below. 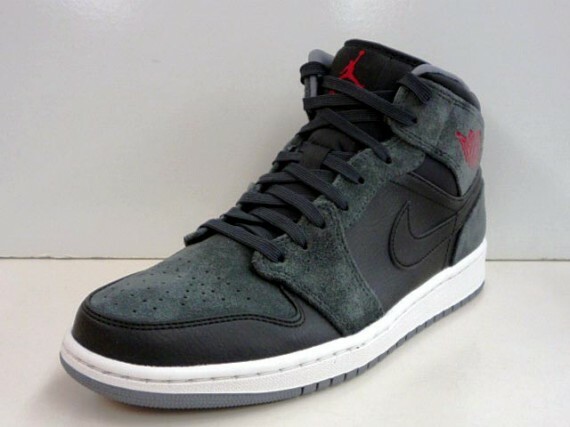 The Anthracite/Black-Red Air Jordan 1 Retro Mid is expected to hit select Jordan Brand accounts soon.